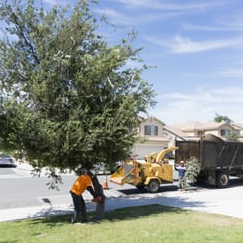 HEAP Tree Service has been the premier choice for tree service in Murrieta, California since 2016. We are a tree care company that is here to serve you with fast service, quality work, and dependable results. Our trained team works all year long to manage your tree issues and guarantee the highest standards of expert tree service and maintenance. You can be content knowing that your trees and outdoor space are taken care of the right way and that all your requests will be satisfied. Whether you desire tree trimming at your residence or tree removal from your business, no project is too large or insignificant for our skilled crew. We use a vast assortment of machinery from stump grinders to bucket trucks; we can manage any size situation. Our tree pros have years of expertise and will provide you with the correct information based on your distinct circumstances. Are you looking for a tree service company that you can call on? Allow us to get your tree care work done for you. We specialize in many things including tree removal, tree trimming, stump removal, stump grinding, emergency tree care service, and lots more. Our arborists enjoy taking care of our residential and commercial customers. Call us for an estimate and a consultation. Every individual on our team has years of experience providing tree services for homes and businesses. We'll remove that horrible tree off your property, even getting rid of the stump. After we complete the job, we'll leave your outdoor area clean and neat. Our Murrieta tree care business prides itself on giving customers quality services at affordable tree service costs. No property is complete without an ideal landscape to supplement the structure on the land. When you have available to you incredible tree removal, trimming, or pruning services, why would you ever want your outdoor space to look anything but picture perfect? ​Take a look at our list of tree services and find out why HEAP Tree Service should be your next choice for any tree care, including wood chipping. Then, you can get in touch with us to arrange services for your commercial or residential property. Even more than our fantastic tree services, we offer our customer an outstanding customer experience. Not only do we know the accurate solution to all tree-related problems, but we can also give you expert advice. We offer solutions to any issues you’re currently experiencing. Our tree experts are proficient in modern and traditional methods for tree maintenance. We ensure our technicians are always current with the newest trends in our industry. We dedicate ourselves to offering our customers high-quality tree care and stump removal services. Our Murrieta tree service contractors have remarkable track records and excellent reputations. We continuously give terrific results, regardless of the level of difficulty or size of the project. Customer satisfaction is our number one priority. Do you want a tree removed? No worries, our tree care specialists can do it safely and swiftly. 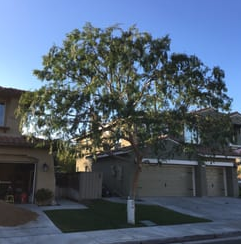 If you are looking for a tree care service that is professional, courteous, and expert in Murrieta, our skilled team is available for assistance. Our aim at HEAP Tree Service is to bring you brilliant service, solid work, and all at low pricing. We’re well-known throughout Murrieta for our professional standards and excellent tree care work. If you are seeking a professional, trustworthy business that likes to create good relationships with their customers, then HEAP Tree Service is the company for you! Tree trimming can be hazardous. As conscientious business owners operating possibly dangerous machinery, we carry a massive liability insurance policy. We prune your trees by eliminating certain branches or stems to aid the whole tree. Getting rid of damaged, diseased, and dead branches can help to stop rot and bugs from coming into the tree. We have been offering tree removal since 2016. Allow us to turn your outdoor area into a tree stump free and dead tree environment. We detach tree stumps by using a machine to grind them into mulch. We are reasonably-priced and quick when compared to the other Murrieta, CA tree service companies. From little to large tree stumps, you’ve come to the right place. Feel the bliss of that unattractive tree stump gone forever. We provide tree services that deliver beauty after stump and tree removal. Regardless if it’s a flower display, brand new garden, or you have a desire to have beautiful, colorful, flowers surrounding you. Allow us to give you an outdoor paradise. We are on call 24/7 to promptly respond to your storm clearing & cleaning needs. We cut down a tree with one felling cut. We can only accomplish that feat when there is enough room to do so. We offer tree cutting services to eliminate dead limbs, or if would like to bring some beauty to your outdoor area by getting rid of an unnecessary tree. 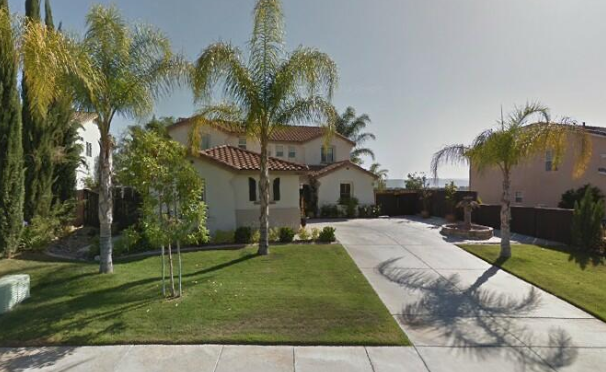 We want you to see for yourself why Murrieta home and business owners have come to depend on us for first-class work. We can assist you in processing felled limbs, cleared brush, and branches by using a wood chipping machine. We can chip and sort your wood debris into clean wood chips for mulching, recycling, or anything else. We use tree climbers to climb high into your trees and tactically remove branches as a precautionary measure against treetops that act as a wind trap when high winds are blowing. We use tree crown reduction as an alternative to tree felling. We lessen the tree crown while keeping the natural shape of the tree. We use a method called tree cabling to save the weak branches of an otherwise healthy tree. Some trees have weak limbs that are prone to tearing or splitting. Our goal is to protect them and the tree as well. 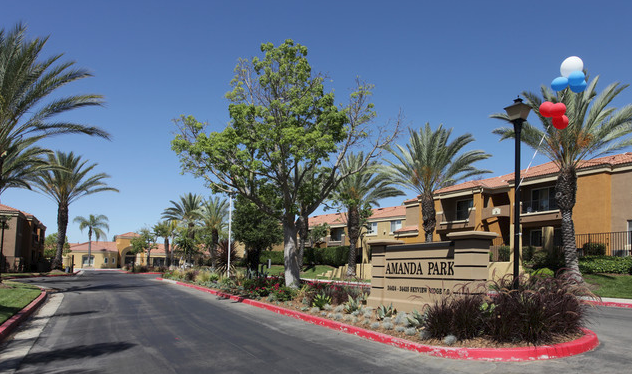 ​We care about the trees in the Murrieta community as much as you do because we live and work here too. Our arborists offer tree services tailored to what your outdoor space needs. Trees in Southwestern California have diseases and pests that are distinct to the area. Our Murrieta arborists have the expertise and skills necessary to analyze and rejuvenate trees that have combatted many common diseases and pests. Getting the weight off a tree or balancing the load by pruning a tree can help to steady the tree and stop it from falling. We can accomplish that through tree crown reduction or tree cabling. If you want an expert tree care service provider in the Murrieta area, we’re the one to call. We have never met a tree that we couldn’t handle. On a tight budget? Don’t sweat it. We can still take on your tree care needs. Give us a call so we can talk about it. Diseases and insects can destroy the health of your trees. As soon as you see any deformity in your tree’s appearance, you should start a meticulous examination of the issue. By detecting the specific signs of damage and knowing their causes, you may be able to identify your tree’s problem and choose the right treatment. Certain things that affect the health of a tree are a proper balance of nutrients and sufficient light and water. Too little or too much of any of these conditions may bring stress to your trees. Environmental stress weakens trees and makes them more vulnerable to diseases and insects. Trees have environmental stresses like competing for nutrients and water, as well as shading in their native environment. They adjust their development and growth patterns to indicate the availability of the resources. Even though trees regularly live in stressful conditions in nature, often the stresses they go through in the landscape are more than what they can handle, making them vulnerable to diseases and insects. Our tree contractors want to give you the right appraisals, real solutions and clear outlines for all of your tree-related requests. 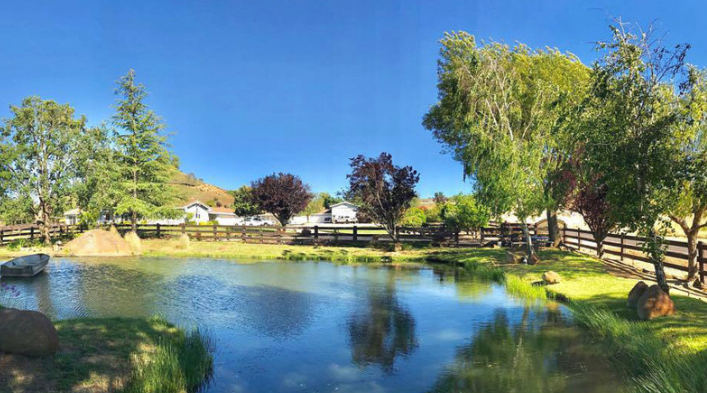 We have worked all over the city of Murrieta, helping our customers and fulfilling the obstacles of managing all sorts of tree-related issues. Our Murrieta arborists are the most competent authorities on matters concerning trees. We are all about the health, conservation, and security of trees in their natural surroundings. Both commercial property and homeowners will find numerous reasons to partner with our arborists in achieving their tree care goals. Trees in a commercial setting can be a bit challenging. It necessitates attentive maintenance and meticulous planning. The shared public trust with any commercial property is that the trees prosper, grow, and remain secure. When a problem arises, or when a tree becomes a danger to the public, a knowledgeable source is needed to be contacted to handle the situation correctly. That is the function of HEAP Tree Service. We offer a complete, honest analysis and inspection of any tree problems you are experiencing. When a storm or any other adverse weather hits Murrieta, you could find yourself with a yard full of branches and limbs. What you need is an emergency tree care service that knows how to remedy your situation correctly. We provide everything from storm clearing and tree trimming to tree lacing. We also offer stump removal and stump grinding as well. When heavy winds blow through the city, a tree can fall suddenly on your business, home, vehicle, or other property structure. The first thing you will want to ensure is that everyone is okay and find a safe place to go. Next, you need to drop a dime to your homeowner’s insurance company. Make sure you take plenty of pictures of your home, the tree, and the damage. Last, but not least, give us a call so we can respond quickly to you with our emergency tree care services and our storm clearing services. Our experienced technicians know how to safely and promptly remove fallen trees and limbs from your outdoor space before they cause any more damage. We are devoted to giving you exceptional services at a low price. Our crew is known for their professionalism and courteousness, regardless what sort of job they are managing. If you want the truth about your trees, straight with no chaser, give us a call. We honestly let you know what your tree problem is. But we also provide resolutions that get rid of the issue fast. If you have never had to deal with your insurance company and their claims, our staff can assist you. Having tree issues is bad enough. We want to alleviate as much of your stress as possible. Our team is more than happy to work with any insurance provider, so your stressful time isn't so difficult any longer. We always do our work to give you the best customer service and satisfaction at all times. At the same time, we like to pass on to our customers the latest developments in tree care. Our tree services bring an aesthetic appeal to your outdoor area. But we also make sure that your trees are healthy and robust. 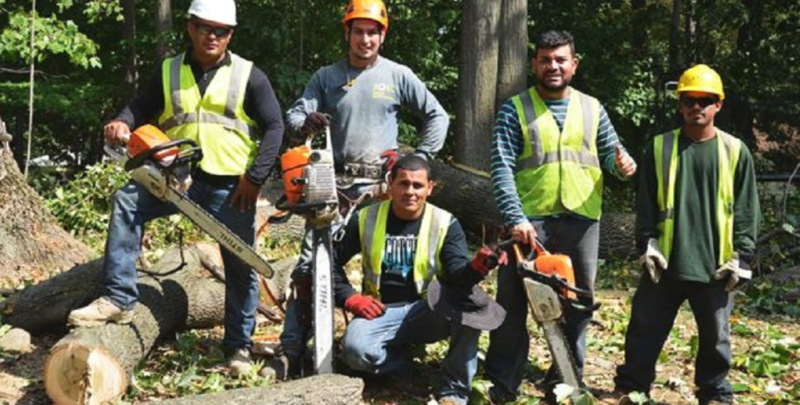 Our tree contractors are hand-picked, based on their years in the industry and their customer service skills. We have team members who understand the ins and outs of the tree care business and will ensure you are in a safe environment. If you want to find out more about who we are and what we can do for you, just ask! We’ll provide you a detailed explanation of how we’re going to deal with your unique job. 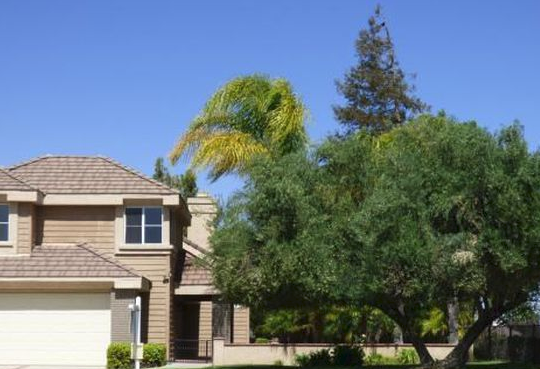 All of us have years of experience in tree service in Murrieta, and we’ve seen it all.